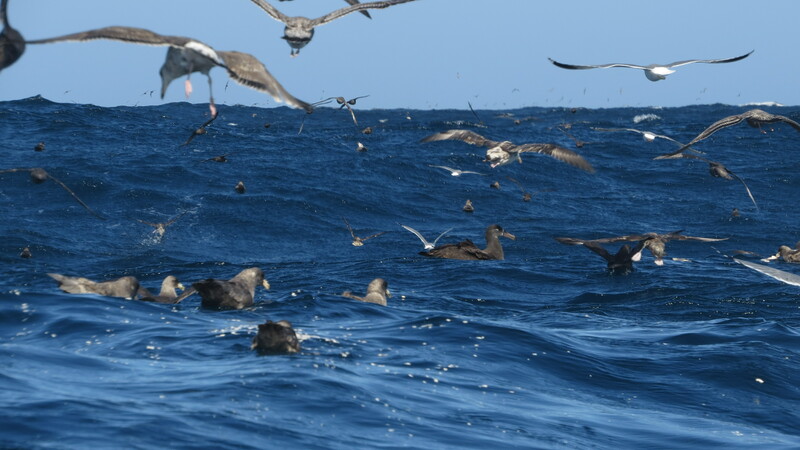 This fall, I spent a day out in the Pacific Ocean with Oregon Pelagic Tours, in search of pelagic birds. Or as I like to call it, a day in the life of a bulimic. I couldn’t be more excited at the chance to see skuas, albatross, and maybe even whales. I did everything right. I slept great the night before, I ate a bland breakfast, I even got a Scopolamine prescription. 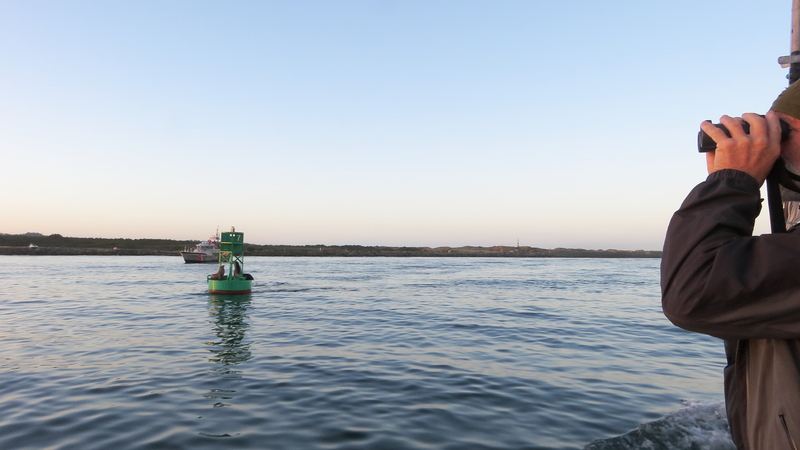 I stayed on the stern (back) of the boat in fresh air, and focused on the horizon. I thought: I feel good, I feel good, I feel good, I feel good, I’m not going to get sick. Then I proceeded to become incredibly ill.
About five miles past the jetties, the sea swells really picked up. Past the Steller Sea Lions and the Marbled Murrelets (the birds that nest in coastal old growth trees! 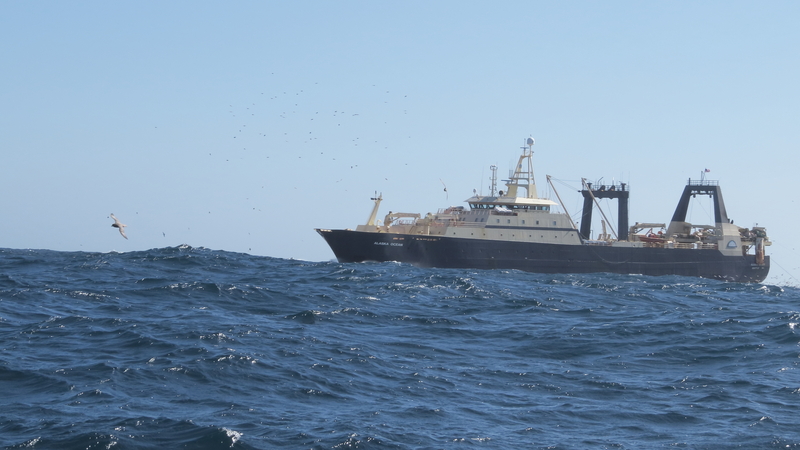 ), and just before the Humpback Whale. Hard as I tried, I couldn’t keep it together for the whale sighting. After the first incident, I thought maybe I’d recover. Nope. I was sick for the next four and a half hours. Ginger snap cookie? Threw it up. Dramamine? Too little, too late, threw it up. I couldn’t hold down ginger ale or even water. My stomach refused everything. Luckily, (or unluckily?) I was in good company. It became almost comical after the nth time over the rails. Almost. We reached the turnaround point about 50 miles out to sea. This was actually my small turnaround point too. For about an hour, the water calmed and so did my insides. I could finally enjoy the birds! And there were many to enjoy! 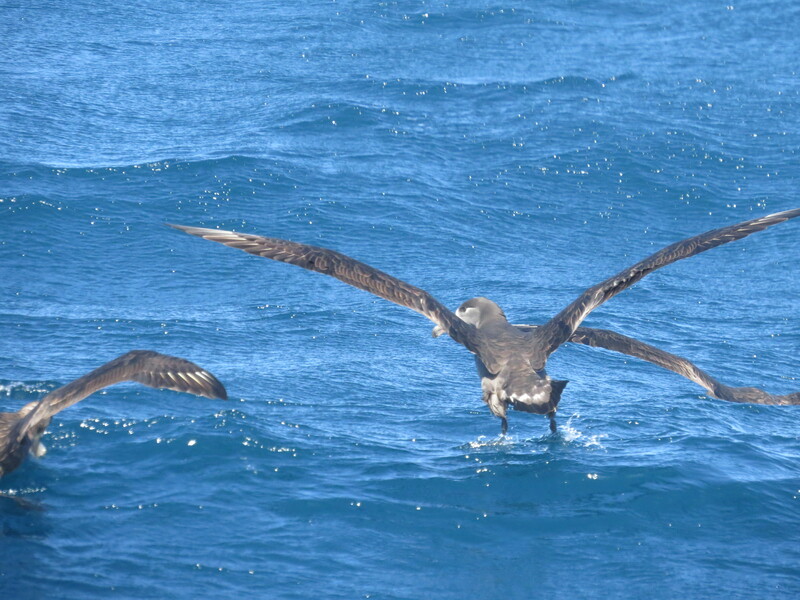 (See the albatross in the middle? So big!) It was here we came across two fishing vessels swarming with thousands of birds. 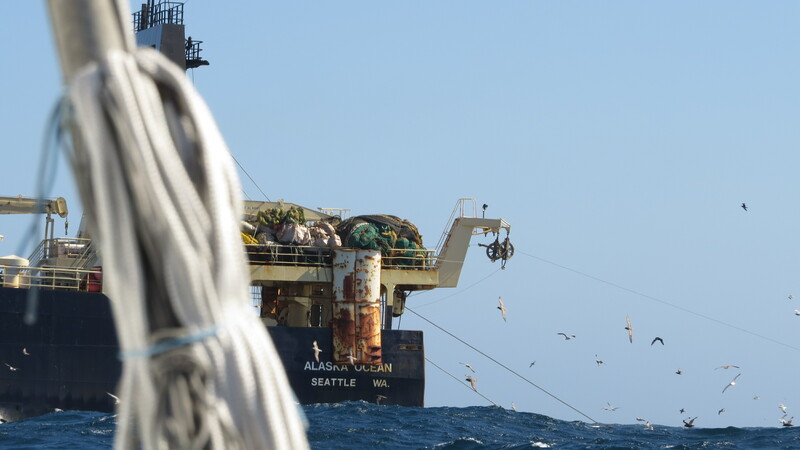 For the second time that day, but the first time I could watch, our boat chummed the water with fish oil and popcorn. 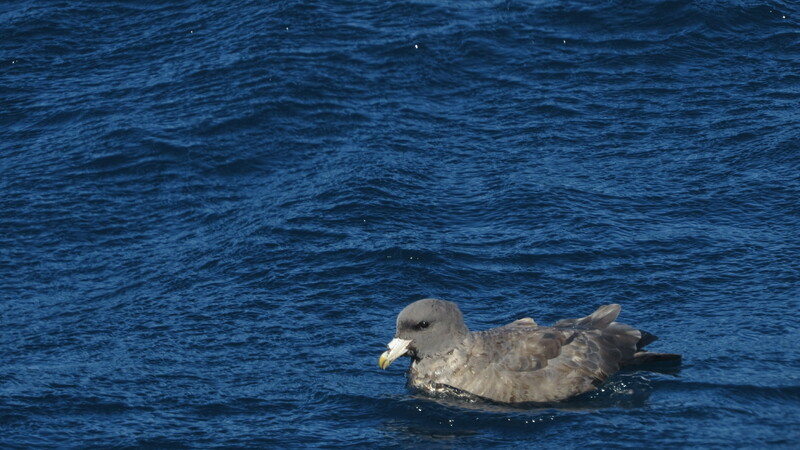 It attracted a few birds like this Northern Fulmar. 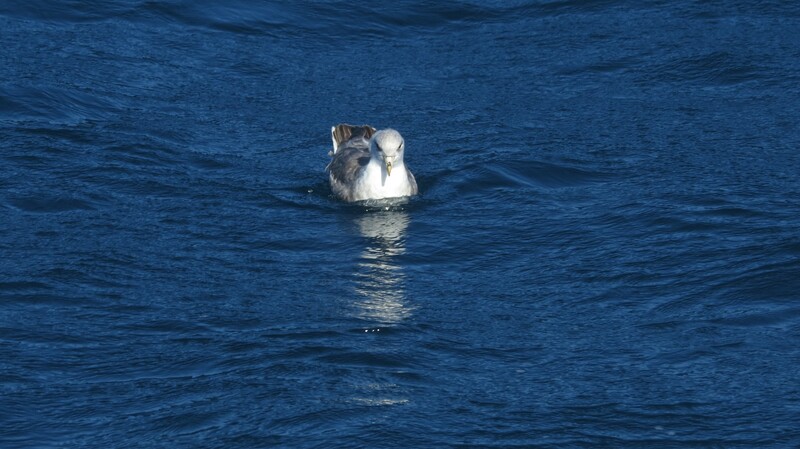 And this other Northern Fulmar. Sinister-looking and unattractive, but at this point, I took what I could get. 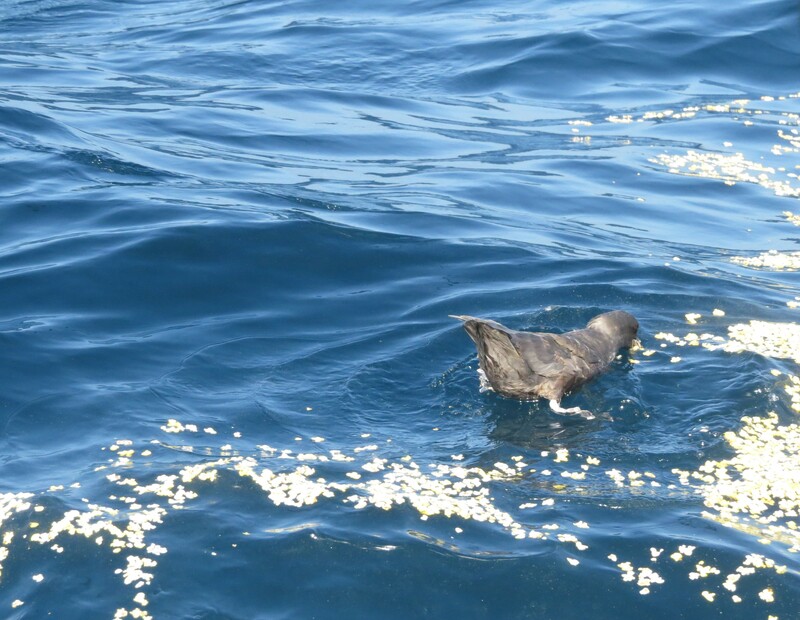 Side note: Speaking of vomit, check out this nutty but informative video about fulmar chicks using their vomit to deter predators like skuas and rock climbers. There were so many other birds sighted on this trip. According to the trip list, we even saw 20 South Polar Skuas (!). I saw a few. I did not get any pictures. 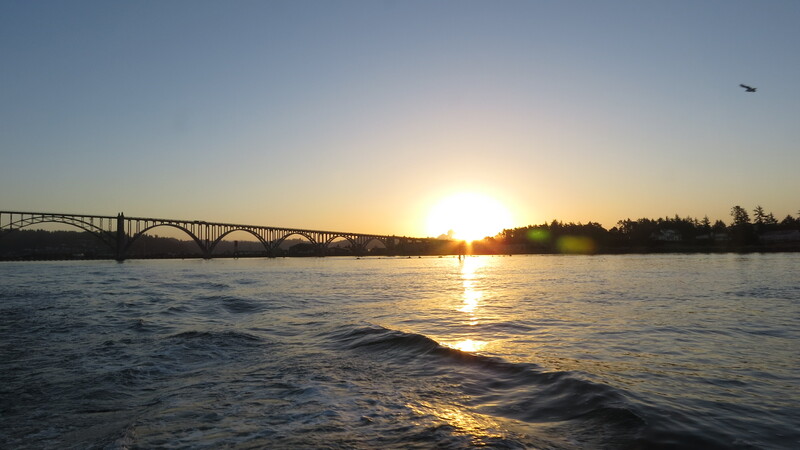 After the turnaround point, we had a 5 hour return journey back to Newport against the sea swells. I felt weak and dehydrated and alternated between staying dry and ill in the cabin, and being ill outside and getting soaked by waves. While a small part of me wanted to die on this trip, most of me was incredibly thankful for the experience. I gained immense compassion for others who have felt the torture of seasickness. And hats off to those who kept their stomach together this day. It took something beyond my capabilities. Here’s a more complete trip report from Tim Shelmerdine, one of the superhero guides. And here’s a link to better pictures from the trip (including many birds I missed), thanks to Nagi Aboulenein. It’s funny where birding will take you. I’d do it again in a heartbeat. 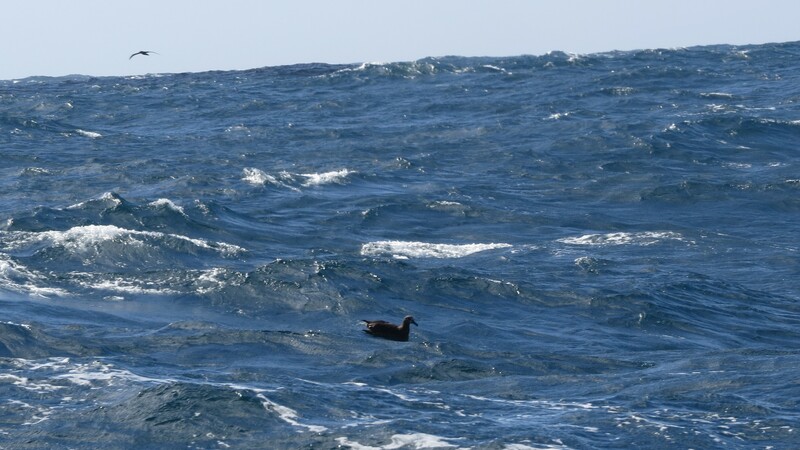 This entry was posted in Birding Trips and tagged Black-footed Albatross, Marbled Murrelet, Northern Fulmar, South Polar Skua by audge29. Bookmark the permalink. Oh I feel for you. I don’t get seasick (knock on wood) but I’ve seen my share of those who do. Aargh. But yeah it’s totally worth it for albatrosses!! Totally worth it! Next time I’m putting the patch on early, and doubling up on the dramamine!